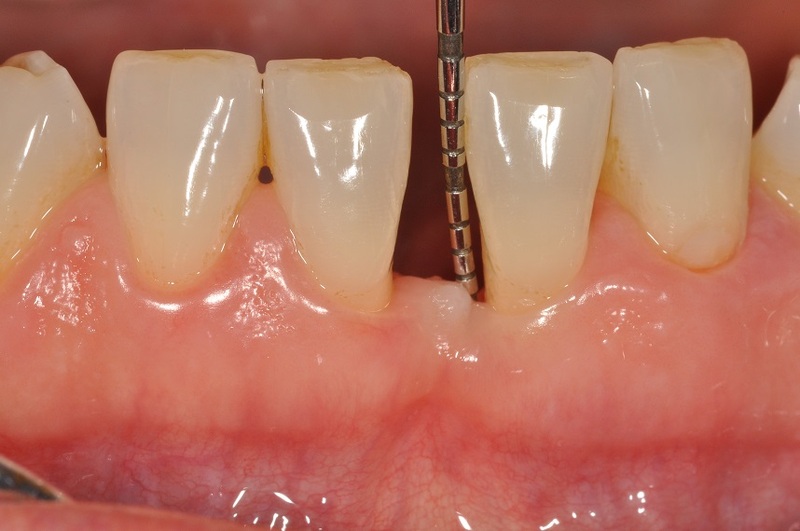 01/13 - Baseline clincial situation and pre-surgical probing. 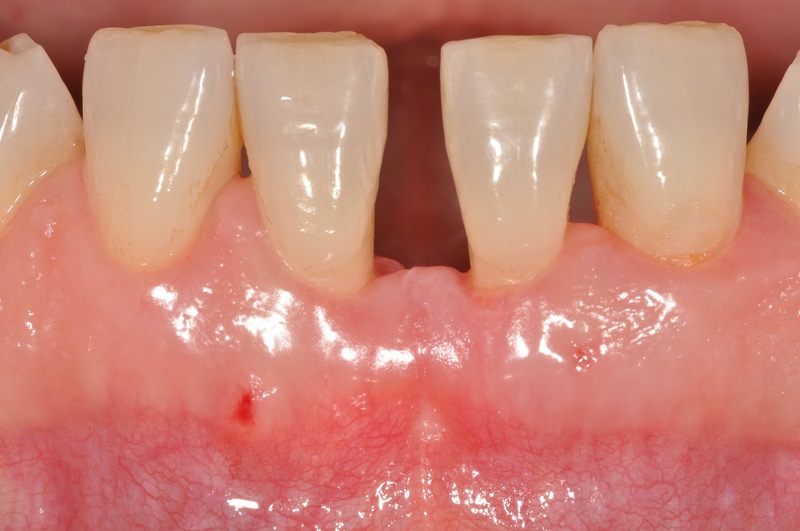 03/13 - Flap elevation and presentation of the defect. 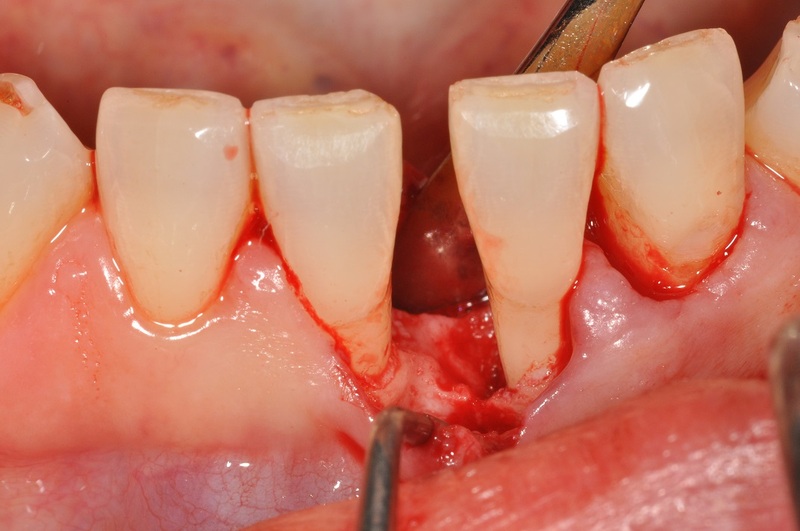 04/13 - Soft tissue augmentation using an autogenous connective tissue graft. 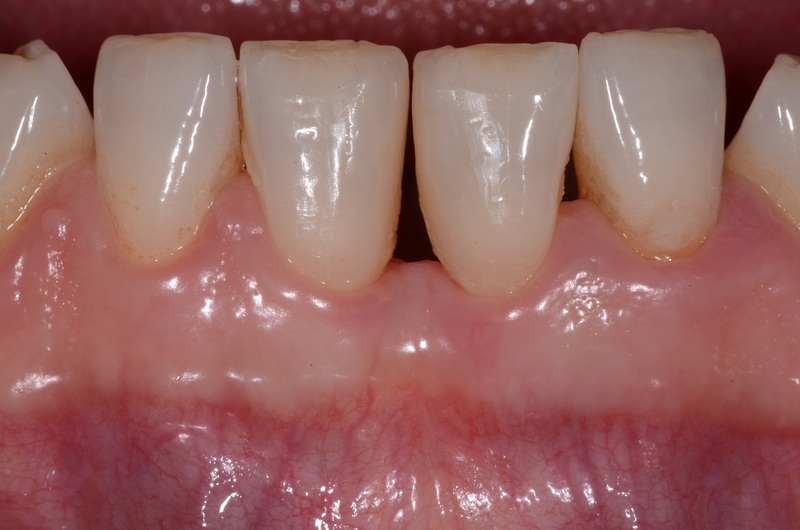 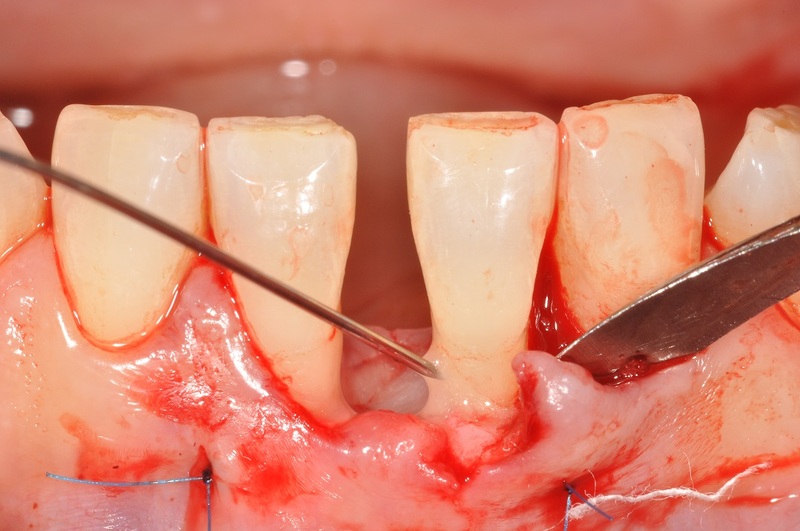 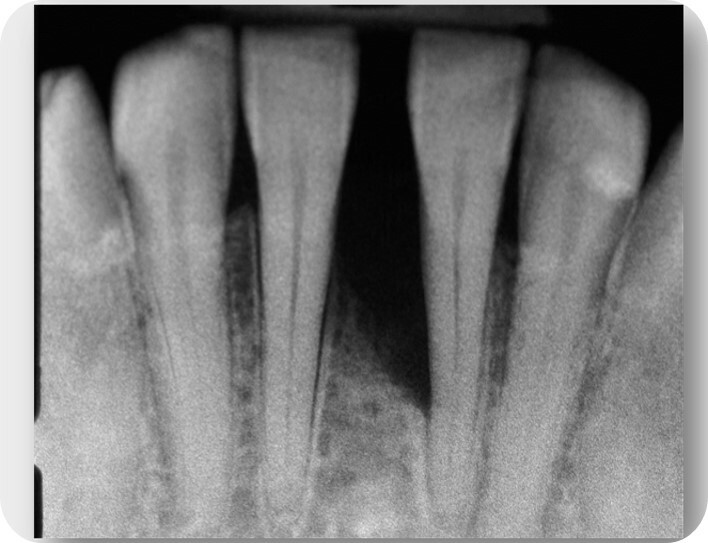 05/13 - Application of Straumann® Emdogain® onto the denuded root surface. 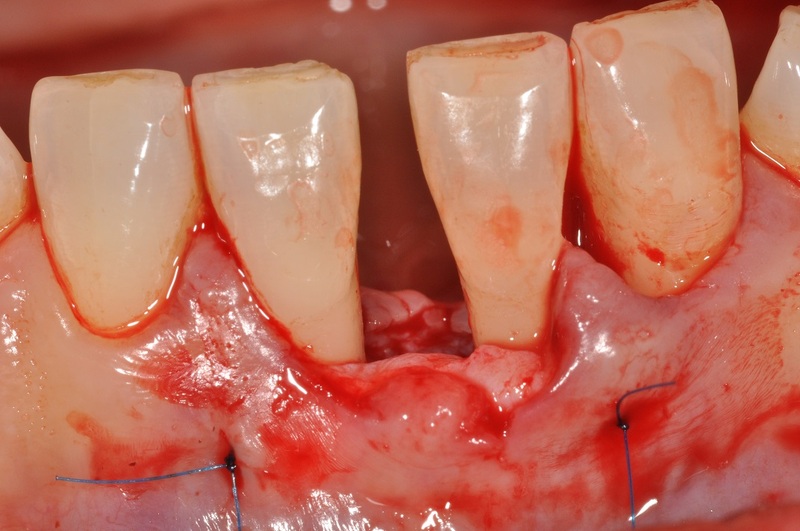 06/13 - Grafting of the bone defect using autogenous bone chips. 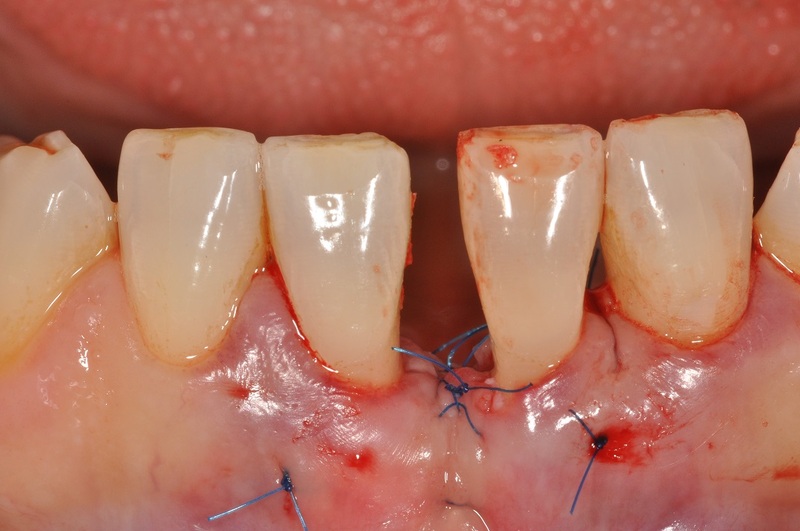 08/13 - Suture removal 10 days post-operative. 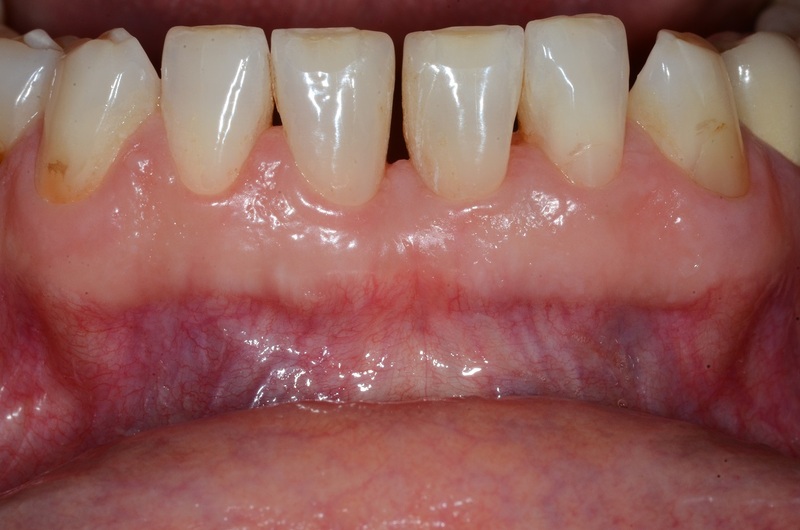 09/13 - Direct composite veneering and clinical situation 6 months post-operative. 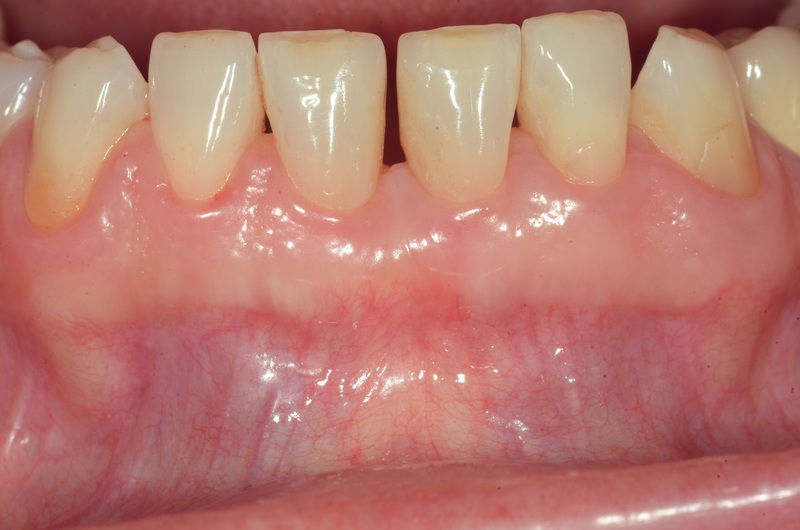 10/13 - Clinical situation 3 years post-operative. 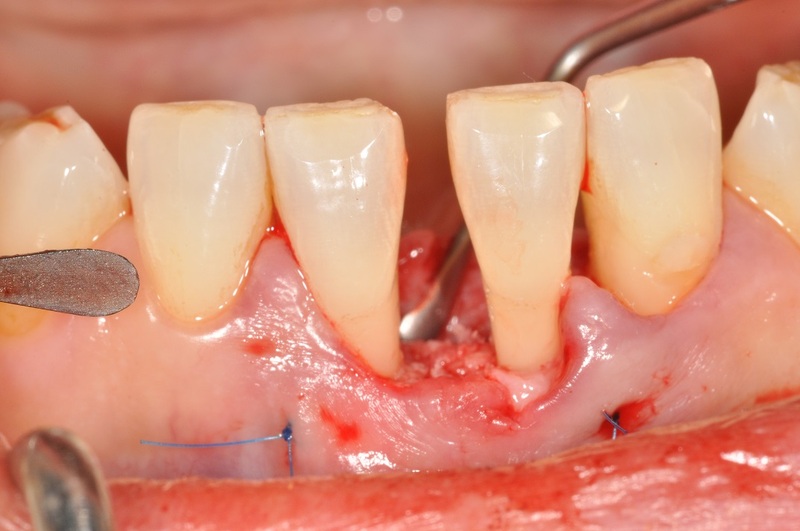 11/13 - Clinical situation 5 years post-operative. 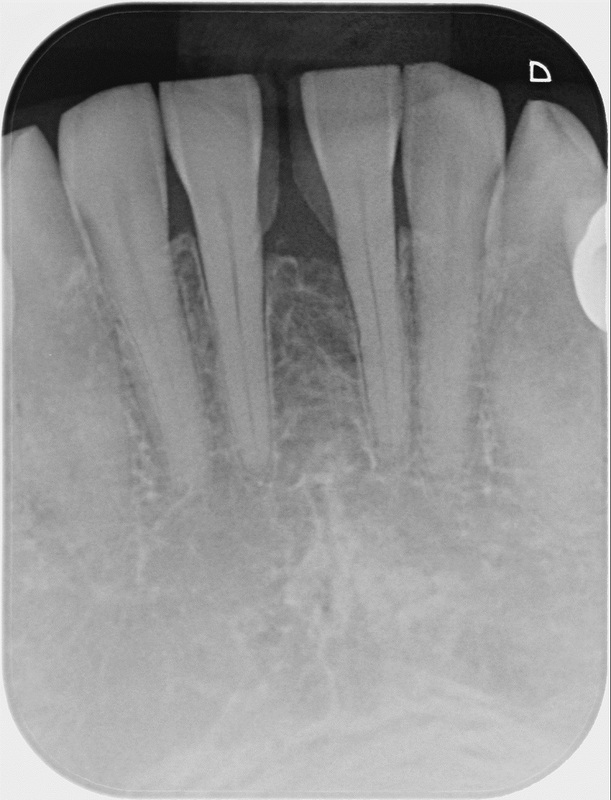 12/13 - Radiograph 3 years post-operative. 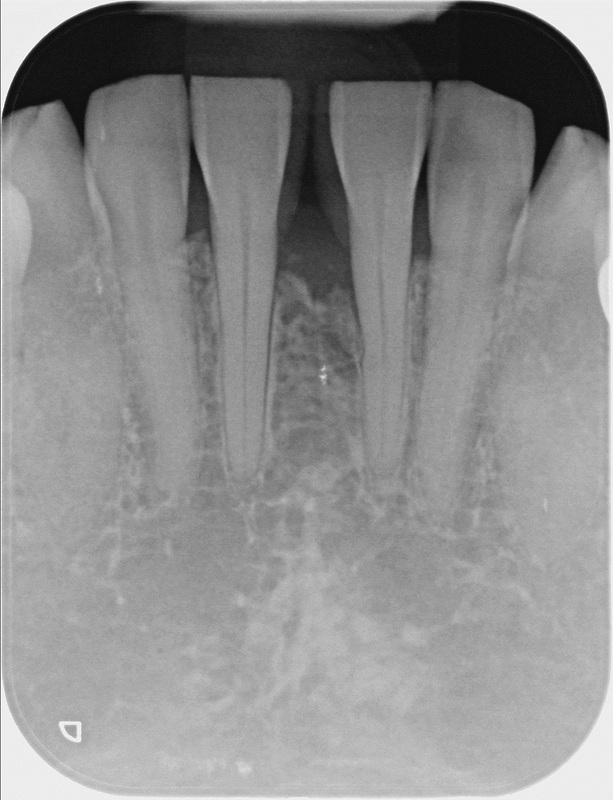 13/13 - Radiographic bone fill 5 years post-operative.